Author's note: In light of the coming circus we call the election process, I offer the following repost. Many on the Right will proclaim Christianity as the guiding principles of this great Nation to garner support from the blind masses but those of us with some intelligence understand that they are no more Christian than Judas was. If these self-labeled neo-con Christians truly want to be like Christ, why are they so vehemently driving an agenda that denies this nation's poor and down trodden of any hope? 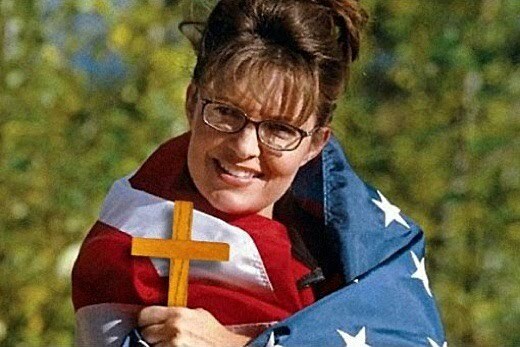 These psuedo Christian neo-cons also claim to be patriots but everyday spit upon the State of Liberty and Her words with the same indifference with the anti-American hate rhetoric against immigrants and the Nation of Islam. I wonder what Jesus would think of this ever increasing expanse of hypocrisy his "devoted" followers have fallen into. During every election period, we concerned citizens force ourselves to listen to the empty rhetoric and meaningless banter of another generation of up-and-coming political puppets as they try to convince the American public that they are the best candidate to lead us into the future. Typically, the messages are sterile and filled with the same tired promises of a better tomorrow with less taxes, more jobs, etc. In this particular election period, though, new tactics have been implemented to profit from current trends of dissatisfaction with our government and the growing movement toward global separatism that has become so prevalent in the disparate dysfunction of mass media and their purposeful drive toward public confusion. Driven by blind ambition and fed by a wanton disregard of truth, the least likely of all tactics has become the most effective talking point by representatives of a lost society. That tactic is what I like to call, God Talk. The primary users of this tactic seem to be the Tea Party candidates; the people that increasingly seem to represent a world of mental mania run wild. These candidates consistently tout American recovery, while enveloping their campaigns in images of a renewed purpose; one where we all go back to the past and reclaim the meaning of this country as first designed by our founding fathers. In this delusionary state, we all will once again be free from the deceit and taxation that has so impaired our present government. This is a welcomed message to many who live each day in a troubled world. It has taken the public imagination to new heights of hope, even though in reality it is just another play in the grand old political game. One of the overwhelming aspects of this quasi-American reform seems to surround the idea of getting back to the morals of a bygone Era. Many candidates on both the Right and the Left of the aisle have argued that modern politicians are infected with immorality including but not limited to extramarital affairs, gambling, taking bribes, corporate partisanship, and shady deals on their own behalves. The irony of these statements is this will be one of the few times these people will actually be completely honest with those who will elect them to office. The most noticeable example of this confounding stance is Glenn Beck’s taking of the religious right’s hand and parading with them and the Tea Party like a prophet from God toward his personal version of salvation. He and other political celebrities have led the charge by bringing God into the equation in an effort to assert their own moral standings, or lack thereof. Though he has not proclaimed himself an official member of the Tea Party, Beck, in his almost schizophrenic ranting, has backed their efforts with his own brand of spiritual reclamation. This sentiment has been readily accepted by the desperate masses in this, our modern age of growing unemployment, homelessness, and the daily reminders and examples of the corruption stemming from the corporate takeover of Washington. The problem with these God statements is they have no bearing upon the modern reality of our governmental structure. In fact, when God becomes the only “giver of rights,” which man has no power to take away or interpretively regulate, then anarchy is the result. Beck is also fond of quoting the English philosopher John Locke to back his arguments for a renewed America. He has said that “Locke used the belief in Liberalism to further the concept of natural rights and to rally support for the protection of private property and the consent of the governed.” He has used Locke’s philosophies to back his build-up to the rights granted by God and his advocating of governmental elimination. As is typical of media celebrity, though, he has only given half the story. John Locke had frequently pointed out what he takes to be clear evidence of the hypocrisy in the combination of religion and government. His central claims are that “government should not use force to try to bring people to a 'true' religion and that religious societies are voluntary organizations that have no right to use coercive power over their own members or those outside their group. Those who are quick to persecute others for small differences in worship or doctrine are relatively unconcerned with much more obvious moral sins that pose an even greater threat to their eternal state.” Beck had forgotten to mention that bit of information in his preaching. Locke’s words are very poignant, though, considering the current condemnation of Islam by the Right and the bipartisan agenda to force “American” values upon the rest of the world. The assertion that all Muslims are represented by the few that may or may not have been involved in the 9/11 attacks on the Twin Towers is an example of this forcing of religious ideals upon the people. Our forefathers and mothers came to this country to escape religious persecution. Yet, in their drive toward their God, these politicians have advocated the same persecutions our founders sought to escape. The constant mention of “The America our Forefathers envisioned” seems very much hypocritical in light of this contradiction. The reality of it all is that these politicians are only searching for a new way to sway the public opinion to their favor. Vineeth Menon said is best in her article, Politicians & Religion: “The government is turning its sight to religion as the next powerful tool to control its people. In a land where most of its population is obsessed with symbolism and idolism, religion is a very powerful tool to ignite a crisis between the various groups of people in the country. Thus, we see our self-righteous leaders in various states scrambling for the honor to become holier than the leader of the next state.” This spiritual reclamation also acts as billows beneath the fires of religious prejudice. Not to be outdone in the drive toward ignorance, Sharon Angle recently made this statement: “We have become a country entrenched in idolatry, and that idolatry is the dependency upon our government. We're supposed to depend upon God for our protection and our provision and for our daily bread, not for our government." This is one of the most ridiculous statements I have ever heard. Is God going to take care of the elderly citizens in their last days, or the poverty stricken mother of three in the ghetto, or the veterans of our wars when they come back with disabilities? To me, that is the rightful responsibility of the moral government. Is God going to ensure that corporations don’t poison our lakes, streams, oceans or our food? Again, that is society's purpose and the government’s by extension, not God’s. What bothers me the most about these incessant ramblings on faith and morality is that they are being delivered with a facade of honesty by some of the most dishonest people in our society. Quite simply Mr. or Ms. Politician, I don’t want to know about your faith, your God or your quasi-Christianity. I want to know what you are going to do to help my country; and, in the larger picture, the global community. If anything, the stronger your Christian convictions are the less likely I am to vote for you. I don’t want a leader with Christian leanings when the issue of relations with Islamic Nations has become so important and the right to abortion is still an issue. I believe in God, in faith, and in morality, but at the end of the day I want my representatives to be leaders not followers. Keep the God concept and the personal promotion of your false integrity for the Sabbath. During the other six days, I need to know that I am being represented in government and protected from those that will do harm to my family. 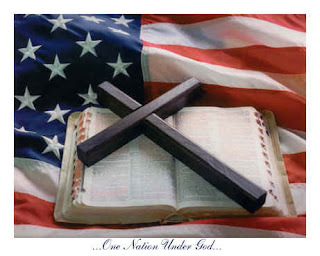 When it comes time to elect a man or woman to office this coming election please remember something: God will not be the one depriving you of your rights, it will be those who use “His” name for their own advantage. As far as I am concerned, God has no place in politics. Why Are So Many Christians Conservative? How can people who claim to be followers of Jesus be political conservatives? When you are in the political world, you have decisions to make every single day about who you will try to help and who you won't. In spite of the earnest quest of good technocrats everywhere, the simple fact is that there are only a few win-win solutions. Who you tax, who you give a tax break to, what programs you cut or add to, who you tighten regulations on, and who you loosen them on, what kind of contractors are eligible for government work, which school districts and non-profit groups get federal money, etc: these political decisions are generally not win-win. Instead, they mean that one group of people win, and one group of people loses. It is the nature of politics, and you can't take the politics out of politics. The most fundamental difference between progressives and conservatives is that question of which side you are on. Conservatives believe that the rich and powerful got that way because they deserve to be, that society owes its prosperity to the prosperous, and that government's job when they have to make choices is to side with those businesspeople who are doing well, because all good things trickle down from them. Progressives, on the other hand, believe it is the poor and those who are ill-treated who need the most help from their government, and that prosperity comes from all of us -- the worker as well as the employer, the consumer as well as the seller, the struggling entrepreneur trying to make it as well as the wealthy who already have. Between Glenn Beck's conspiracy theories about Christian social justice (Since Communists and Nazis both used the words "social" and "justice," sometimes even together, the phrase must be bad along with other words they used a lot like the, and, one, thank you, please, today, tonight, and tomorrow), Sarah Palin's "spiritual warfare," and my very fun e-mail debates with a much-beloved but sadly misguided conservative Christian relative, I have been thinking a lot about Christians and political ideology of late. As those of you who read me a lot know, I was raised in a church-oriented home, and I write about religion a fair amount. This isn't because I am conventionally religious: I decided about four decades ago that since there was no way for sure about the nature of God or the soul or all that metaphysical stuff, I wasn't going to spend much time thinking, caring, or worrying about it. If that sends one to hell, at least I'll be there with a lot of my favorite people. But I still have the social and moral teaching I learned from my upbringing embedded in me as a core part of my value system, and I still know my Bible pretty well. That's why I am always puzzled by how people who claim to be followers of the Jesus I read about in the Bible can be political conservatives. Now I know there are many people who have not been brought up in the Christian faith, or who were but aren't interested in it anymore. Perhaps like a great many folks, you have been turned off by all the high-profile preachers who claim to speak for Christianity but preach a brand of narrow, intolerant conservatism that you can't relate to. My view is that even if that is the case, it is still important to know something about the Christian New Testament because it is such a historical and cultural touchstone in our country. I also think it's important to have a sense of just how different the Bible is from how conservative Christians represent it. For those of you uninterested in all this, I understand why: you definitely won't want to dig into what follows. But for those of who are, here is my argument about Christianity and progressivism in politics. Conservative Christians' primary argument regarding Jesus and politics is that all he cared about was spiritual matters and an individual's relationship with God. As a result, they say, all those references from Jesus about helping the poor relate only to private charity, not to society as a whole. Their belief is that Jesus, and the New Testament in general, is focused on one thing and one thing only: how do people get into heaven. What there is: quote after quote about compassion for the poor. In Jesus' very first sermon of his ministry, the place where he launched his public career, he stated the reason he had come: to bring good news to the poor, liberty to the captives, to help the oppressed go free, and that he was here to proclaim a year of favor from the Lord -- which in Jewish tradition meant the year that poor debtors were forgiven their debts to bankers and the wealthy. In Luke 6, Jesus says the poor and hungry will be blessed, and the rich will be cursed. He urges his followers to sell all their possessions and give them to the poor. The one time he really focuses on God's judgment and who goes to heaven is in Matthew 25, where he says those who go to heaven will be those who fed the hungry, clothed the naked, visited those in prison, gave shelter to the hungry, and welcomed the stranger -- and those who don't make it were the ones who refused to help the poor and oppressed. And he was a really serious class warrior, too -- he wasn't just into helping the poor; he didn't seem to like rich folks very much. In Matthew 6, he focuses on the love of money as a major problem. In Luke 11, he berates a wealthy lawyer for burdening the poor. In Luke 12, he says that the wealthy who store up treasure are cursed by God. In Luke 14, he says if we throw a party, we should invite all poor people and no rich people, and suggests that the wealthy already turned down their invitation to God's feast, and that it is the poor who will get into heaven (a theme repeated multiple times). He says that the rich people will have a harder time getting to heaven than a camel trying to pass through the eye of a needle. He chases the wealthy bankers and merchants from the Temple. I have never heard a conservative Christian quote any of these verses -- not once, and I have been in a lot of discussions with Christian conservatives, and heard a lot of their speeches and sermons. The one verse they always quote (and I mean always -- I have never talked to a conservative Christian about economics and not heard them quote this verse) is the one time in which Jesus says that "the poor will always be with us." The reason they love this quote so much is that they interpret that line to mean that in spite of everything else Jesus said about the poor, that since the poor will always be with us, we don't need to worry about trying to help them. Apparently since the poor will always be with us, we can go ahead and screw them. But Jesus making a prediction that there will always be oppressive societies doesn't mean he wanted us to join the oppressors. By clinging desperately to that one verse in the Bible, and ignoring all the others about the poor and the rich, Christian conservatives show themselves to be hypocrites, plain and simple. In Acts 2: 44-45 says: "The faithful all lived together and owned everything in common: they sold their goods and possessions and shared out the proceeds among themselves according to what each are needed." My question: did Karl Marx quote that line directly, or did he come up with his each-according-to-their-own-needs doctrine on his own? Jesus' mother Mary says that Jesus will "fill the starving with good things and send the rich away empty" and will "pull the princes from their thrones and raise high the lowly." I guess the big guy came by his politics from his mom. Speaking of the big guy's family, in the Book of James, which is purportedly written by Jesus' brother (and scholars think there is a pretty good chance it really was), James really goes heavy into the class warfare stuff. In James 2: 1-13, there is an extended admonishment on respect for the poor and mercy. In 2: 5-8, he says it is the poor whom God chose to be loved, and the rich "who are always against you." In 2: 13, he says that "there will be judgment without mercy for those who have not been merciful themselves, but the merciful need have no fear of judgment." And in 5: 16, he condemns the rich again starting out: "Now an answer for the rich. Start crying, weep for the miseries coming to you... Laborers plowed your fields and you cheated them: listen to the wages you kept back, calling out: realize that the cries of the workers have reached the ears of the Lord." Judeo-Christian scripture is a rich and complicated work of literature. Written over the course of (at least) several hundred years by dozens of different authors, there are a variety of perspectives and many times outright contradictions in the theology and the politics of the writing (if it's all inspired word for word by God, He seems to have changed his mind a lot). But one thing is extremely certain: the poor seem to be who God is most concerned about. Yes, there are a few quotations (four, if I remember right) trashing gay people, along with quite a few more about the right way to do animal sacrifice and to be careful about eating shellfish and hanging out with women who are menstruating. But mercy, kindness, and concern for the poor and the weak and the outcast seems to matter a lot more, with literally several hundred verses referencing those agenda items. If you are a progressive, that is a pretty good ratio.